The word 'underground', in Bangladesh, is most commonly used to describe the new music that has been grabbing the attention of the youth for a decade now. The music scene was dominated by the likes of 'Miles', 'LRB', 'Nagar Baul' and so on till the late 1990s. While they are still popular, their monopoly has been challenged by a series of bands that started lighting up stages all over Dhaka and major cities since the turn of the century. 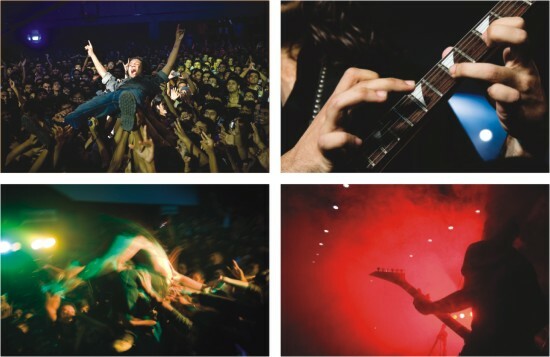 Although it may go against the grain of the predominant perception of rock bands in Bangladesh, the truth is that it is probably the best outlet through which to channel the frenetic nervous energy of teenagers. Contrary to popular belief, forming a successful band and playing at a high technical level is not easy and requires constant practice and devotion. Music may actually keep teenagers from mistakes that could damage their lives irreparably. The underground scene refers to the music of bands, previously unknown, who have worked their way up through the concert scene, and got their music out through the various compilation albums that are so popular. That is why bands that are just starting out have to make their own way. A university student, who has been following the band culture from his school days, thinks that things are improving as more and more bands, like Artcell, Aurthohin and Nemesis, have paved a way to the top after starting out from humble beginnings. “There is now a certain process through which bands can grab the attention of underground music lovers. “It usually happens that a group of friends decide to form a band. They buy the instruments with their own money, and rent one of the practice pads that have sprung up in numerous places around the city,” explains Daniel. “There they practise and build up their proficiency levels, and through word of mouth and connections, start playing gigs. Underground concerts have been all the rage among the youth over the last decade, with legendary concerts being held at the Russian Cultural Centre, Engineering Institute, and the Fu-Wang Club, among other venues. They typically attract a young crowd, who let their support for a particular type of music or band be known at the gatherings. These concerts almost always have a collection of rock and metal bands playing together and individually. Arafat Kazi, the drummer in Watson Brothers and a prominent figure in Bangla music, in an article on popular Bangladeshi music site amadergaan.com, titled 'A New Age in Bangladeshi Sound: An Idiosyncratic History' wrote extensively on the spirit of the underground, and the novelty and sense of revolution that the scene brought to Bangladeshi popular music in the late 90s. “It's a great thing. I love the fact that you could be a bunch of young upstarts, talk to one of the biggies in the underground scene (no pun intended but that list includes Sumon Bhai and Shakib Bhai) and get a record deal. You have a chance to prove yourself. Whether your band is good or not depends on the ultimate testing groundthe open market and the shows,” wrote Arafat Kazi. Having such a system places a lot of emphasis on originality and allows for bands to shine in their preferred styles, without having to conform much to suit the 'mainstream'. It also creates a sort of meritocracy where there is nothing to stop a band if they are good and can capture the imagination of the public. Within this environment, started by the likes of the now legendary Cryptic Fate, there has developed a robust tradition of pop music that includes not only the wildly popular rock and metal bands who have come up the underground route, but also artistes of other genres. There are Hip Hop and Rap artistes, such as the hilarious Stoic Bliss and Deshi MCs to name just two, and also bands reinventing old folk songs such as Bangla and Lalon. Credit must also be given to record labels such as G-Series, who have been ready to help out young bands, and also websites like amadergaan.com that have created a forum for Bangladeshi music lovers from all over the world to interact with each other as well as with the musicians whose songs they adore. It speaks of an openness and inclusiveness that is sadly lacking from many other spheres of life in this country, even as being in a band is denigrated as being a waste of time by many of society's more conservative elements. The term underground has many negative connotations, but when applied to the music movement that this country has seen over the last decade, only positive things should come to mind. For those who see in it only negatives and the needless influence of western culture, they might as well think differently when they hear songs such as 'Pothchola' by Artcell, and 'Odbhut Shei Chheleti' by Aurthohin, two bands known for their heavy metal leanings but who have shown their all-round capabilities with these songs. These are just two songs from two of the bands that form the underground scene; there are numerous other examples fromWatson Brothers, Stentorian, Arbovirus; the list goes on. 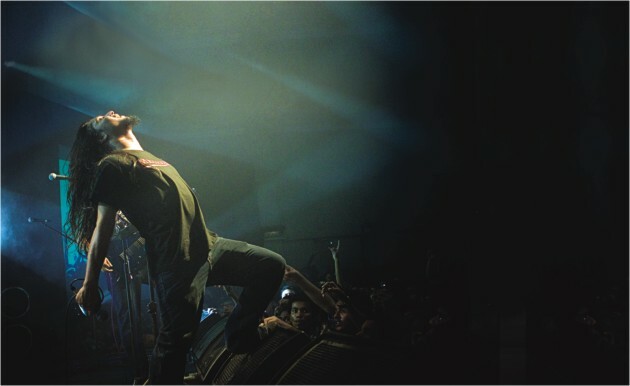 These bands and their much-loved songs prove that the Bangladeshi underground scene has produced bands and music of real quality. Long may that continue!